As a Canadian resident, it’s important to be aware of the rules for declaring foreign property on your tax return. Whether you’re born and raised in Canada or a newcomer to this country, you’ll need to declare any foreign property you own when it comes time to file your tax return. Form T1135 is due on the same day your tax return is due, i.e., April 30. Note that, even if you do not owe taxes in your personal tax return, you need to file form T1135 by the due date to avoid penalty and interest. If you own foreign property with a cost in excess of $100,000 at any period during the year, you must make an annual disclosure to the Canada Revenue Agency. This property includes bank accounts, stocks, bonds and real estate. Even if you have stocks and bonds held in Canadian brokerage accounts, you need to report them. You make the declaration on Form T1135, Foreign Income Verification Statement. Form T1135 requires detailed information about your foreign property, such as description, income, capital gains, maximum cost during the year and cost at the end of the year. If you do not report it, penalties may amount to $25 per day, up to $2,500 per taxpayer, are payable for non-disclosure or late filing. 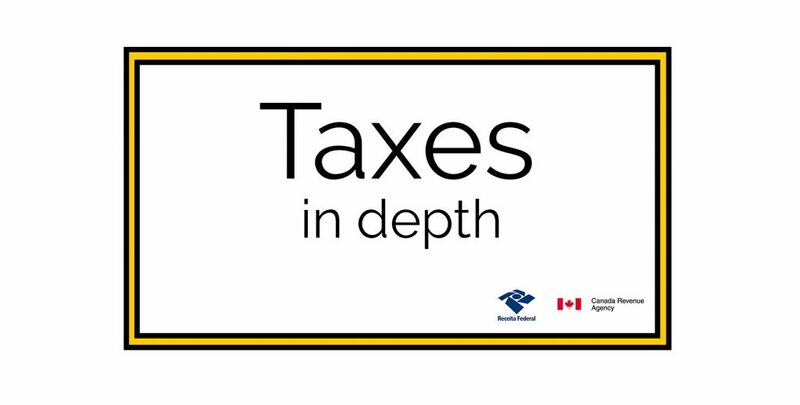 Since 1997, Canadians have been required to declare foreign property in excess of $100,000. If you previously forgot to submit this form, you can submit a Voluntary Disclosure to avoid costly penalties. When you do this, include T1135 forms from previous tax years with your disclosure. Some taxpayers might think that the term “foreign property” just refers to real estate when it refers to a lot more. Here are some examples of foreign investment property you must include on Form T1135: • A life insurance policy you own from a foreign issuer, • Interest you own in any offshore mutual funds, • Any real estate you own held outside Canada, • Money in a foreign bank account, • Shares you own of a foreign company, • Interest you hold in a non-resident trust, • Bonds or debentures owned from foreign countries, and • Any other income you earn from foreign property. Not all foreign property in above the $100,000 limit needs to be declared on your tax return. Any investments you hold inside your Registered Retirement Savings Plan and Tax-Free Savings Account don’t need to be included as specified foreign property. Here are some other examples of foreign property you can exclude: • Any property you own primarily for personal use, including your automobile, cottage, paintings, and jewelry. • Any property you use for running a business like a building, equipment, and inventory. This entry was posted in Foreign Property. Bookmark the permalink.